"Because uncontrolled anger can be quite costly..."
Anger Management treatment at Family Solutions Counseling Center teaches highly effective anger management skills and techniques. The program at FSCC assists the participant with expressing their anger in a way that is acceptable to themselves and to others, in addition to increasing self-awareness and teaching skills for resolving anger. Anger management helps the individual to recognize signs that you're becoming angry, and taking action to calm down and deal with the situation in a positive way. Anger management doesn't try to keep you from feeling anger or holding it in. Anger is a healthy, normal emotion when you know how to express it appropriately. Anger management classes teach individuals about expressing anger in appropriate ways. Anger Management classes at Family Solutions Counseling Center offer the area's most effective approach to controlling emotions associated with anger. FSCC offers individual classes and weekly support group classes. Identifying personal strengths and resources. How to reduce experiencing relationship problems as a result of anger. While some adults are mandated by the courts to participate in an anger management program, most seek such help on their own. Although anger can be positive at times, it can often be quite destructive. When the cost of one's anger exceeds its benefits, it is probably time to learn some new anger management skills and techniques. *If you are referred by the court for anger management, FSCC will provide you with a letter of completion at the end of treatment. If requested, we are also able to provide proof of attendance to probation officers, attorneys, etc. 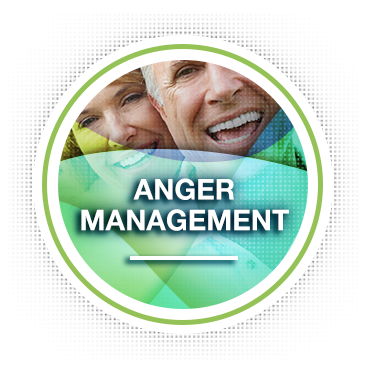 Anger management strategies are taught by the clinical staff at FSCC in both individual and in group format. While there are many advantages of group therapy (including being more affordable), the chief advantages of individual therapy are increased individual attention, privacy, and opportunities to explore one's personal issues at a deeper level. FSCC is currently accepting new participants who are interested in an individualized or couples anger management program and those wishing to join our weekly anger management class for adults. Whether your goal is to save your relationship, fulfill a court mandate, or embark on a journey of self-improvement, FSCC can provide the anger management program that is right for you. If you are interested in scheduling an initial intake or in learning more about Family Solutions Counseling Center programs, please contact our office or submit an email.